Bots are going ballistic. Transparency Market Research predicts the global chatbot market to be worth US$7.9 billion by 2024. This year, financial services bots will increasingly service banking, trading and insurance. According to bot specialist Personetics, there will be a surge in chatbot companies considering entry to the conversational financial bot space in the next 12 months, with over three quarters of surveyed financial institutions viewing chatbots as a commercial solution within the next two years. But can bots be truly effective? Can they can enable Personal Financial Management to transform into intuitive personalised digital assistantship? Jake Tyler, CEO of Finn.ai, which develops white-label personal banking chatbots for financial institutions, has argued that bots provide intuitive advice, enabling banks to deliver services to key customers in the smartphone era. “If banks want to attract Millennials, they will need to be where they are, on instant messaging platforms. Equally as important, chatbots are a way for banks to communicate with this generation in a way they are familiar with, by texting,” he stated. Millennial tastes might also explain Facebook’s bot appeal. Facebook Messenger has over a billion monthly active users and more than 30,000 chatbots. Facebook beneficiaries include MasterCard, which will use artificial intelligence to communicate with customers through text messaging and speech, enabling account holders to check accounts, track spending, and review purchases. Bots manage simple interactions between the bank and its customers, reducing the bank’s staffing costs and creating cross-selling opportunities through social media. The technology must give the end-user a range of means to interact with the bot, from buttons, speech, text, and state-of-the-art AI. Above all, the bot needs to access and understand each end-user’s total financial position and make predictive assessments. A crucial underlying data source for financial bots is based on account aggregation technology, and not every bot uses this. It’s this technology that allows the personal finance bot to access all of an end-user’s financial accounts and return a comprehensive picture of his or her finances. Arguably the best bots are only as good as the aggregation technology supporting them. Without data aggregation able to collate the different elements of an end-user’s financial footprint, all the bot will interrogate is one data-set — something you or I could do by reading a printed bank statement. In this way, the limits of personal financial management (PFM) was exposed when legacy banks were initially reluctant to share their customers’ data with each other, only allowing the PFM tools to operate on their own internal data set. Using multiple bank-connectors, we are able to aggregate from multiple banks, if needed in multiple countries, securely aggregating a plethora of data sources. However, not every technology provider has this capability. Without the aggregation technology in place, bots will fall short in supplying the intuitive, flexible Personal Assistant service now demanded by end-users. In addition, bots will also fail to deliver accurate complete results and advice to customers without quality categorisation technology to enhance the raw transactional data to turn it into actionable and meaningful data. This creates the personalised end-user data on which the bot depends. This technology relies on end-users reporting in-accuracies in the transaction data, so the AI can learn from its mistakes and create the personalised data needed to supply intelligent Personal Assistantship for end-users, enabling predictive behavioural services for Financial Institutions and FinTechs. Bots in financial services do have tremendous potential, but that potential will be dictated in part by the quality of data they are built upon. Categorisation and aggregation technology needs to be fully supported to give bots the foundation they need to personally benefit each and every end-user. Article by Dean Young, Head of Product Management at eWise. With over twenty years’ experience in the financial industry, Dean is an expert commentator on customer management strategies based on his extensive work with retail banks across the world in helping them to optimise customer relationships. Dean’s experience covers online and mobile banking strategies, and how banks must adapt to changes in customer behaviour. 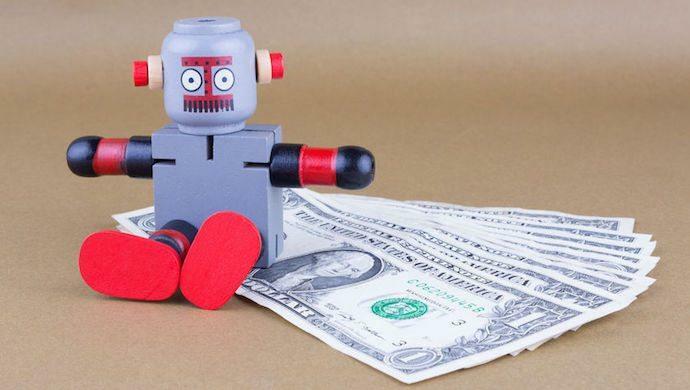 The post Before building a finance bot, get the foundations right appeared first on e27.